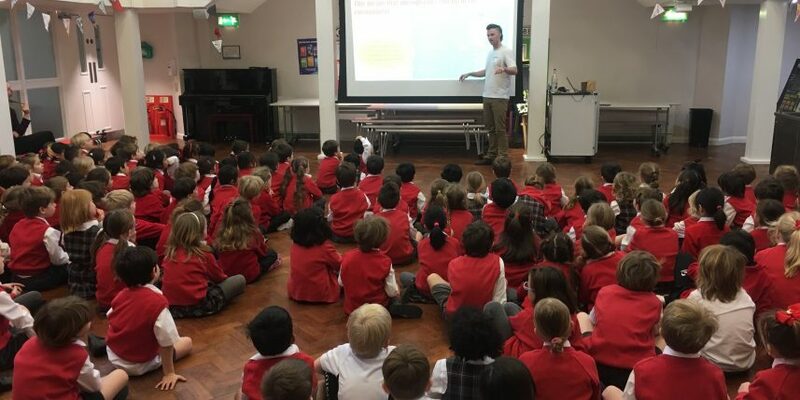 This morning Ben Stanford from Symphony Environmental visited Chepstow House to talk to the students about plastic production and the affect plastic waste has on the environment. The children were reminded that not all plastic is bad. What would we make our television remote out of if we didn’t use plastic? The real issue is single-use plastic, like coffee cups and water bottles. They are durable and can take hundreds of years to biodegrade. Michael, in year 4, figured out that if Henry VIII used a plastic water bottle when he was alive, it still wouldn’t have completely biodegraded to this day! Ben also explained that Symphony Environmental are working on oxobiodegradable technology which will reduce the time it takes for plastic to biodegrade.